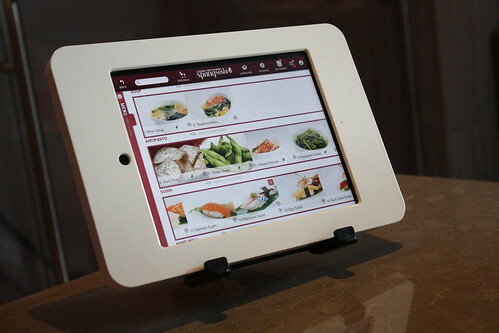 4.0 / 10The iPads are cool but don’t expect much from the food. 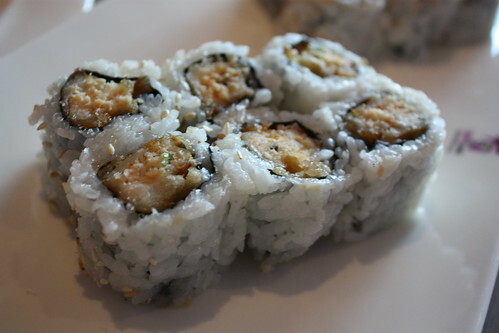 Hey Guys, love the site, always try and come here first to check out your reviews before I go get sushi myself. 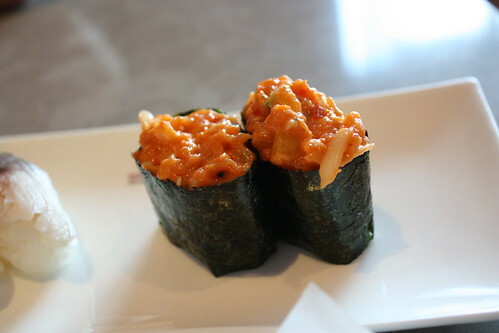 My friend recently suggested I try a new restaurant called Spring Sushi located at 10 Dundas Street, Toronto, ON, M5B 2G9. (Yonge and Dundas, 5th floor I believe). Just thought you guys might want to check it out as well. Ahhh, it’s always “the friend”, isn’t it?…. and the “always try to come here first to check out your reviews…” is a nice touch. The full copy/paste of the complete address tends to be a bit odd, as well. Yeah, yeah, I’m cynical… Regardless, we headed there anyway! Ha yeah sounds like an inside job! I’ve actually had a few more personal requests to try this place as well but more to the effect of “hey you guys have to try that place where there are iPads at every table!”. Spring Sushi took over the spot where Woo a Chinese all you can eat buffet restaurant used to be. 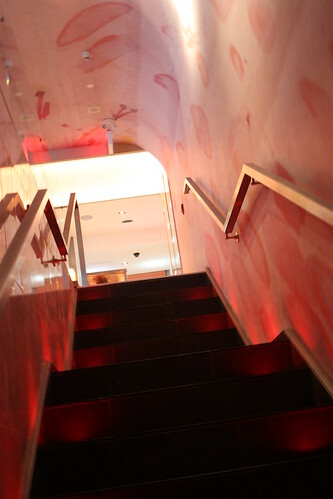 The entrance is the same as I remembered too with a matradee standing out front to guide customers up the stairs into the restaurant. Ah, those iPads—gets us every time. So, yeah, even though the place was basically deserted we still had that little wait “down stairs” until the communication line was established that there was a Table For Two here. Regardless, the staff was pleasant – no beefs there. Once we were “allowed” to ascend the staircase we ended up in a fairly large room full of a mix of table sizes. If you score a window seat, you overlook The Eaton Centre and Yonge-Dundas Square. Once we were seated we were asked if we wanted “a la carte” or “all you can eat” and then proceeded to give us a demo on how to order using the iPad. Pretty cool stuff. I suggested that we go for the AYCE since Spring Sushi known for this and I figured most customers would be doing the same. My guess is that they don’t want people to start firing order requests non stop without any control because you know there will be some idiot who will do that! I did watch her put the order through and it’s a bit of an involved process from what I could tell. I have to admit, the iPad “gimmick” is pretty cool. Very easy to use, nice pictures and keeps the customers busy as they flip through stuff. Yeah, it’s a nice way to browse the menu. Here’s the kicker, though. Not only do the orders need to be ‘sent’ to the kitchen by staff, it also seems they have no way of knowing when you put new items ‘on order’. Maybe I’m wrong about that, but it seems they’re not taking full advantage of the technology they have going. So, if you add an item they pretty much have to ask you (or you tell them) that new items were entered on the iPad. The Sushi Pizzas were horrible. The rice was so overcooked/fried that it was difficult to chew. Not good. The rolls were nothing to talk about. Just bland and tasteless. I guess it’s hard not to be too surprised since it is AYCE. I also noticed that the portions are misleading. 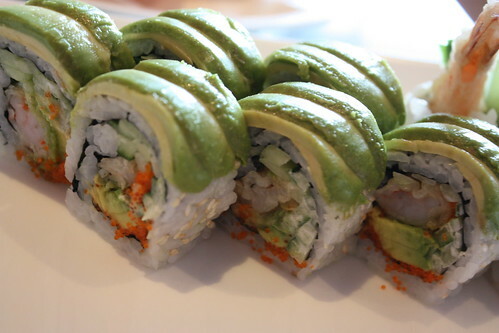 If you order the rolls, you get the whole thing. 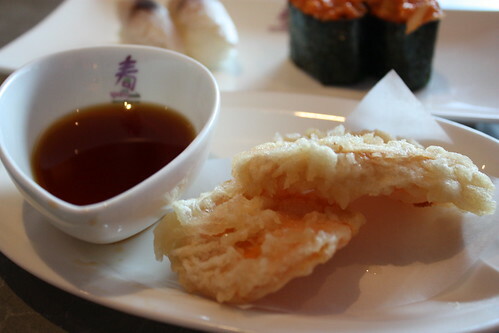 If you order say sushi or tempura, you get 2 of them. Weird…maybe it said something in the description but I didn’t bother checking. To change things up we opted to order some spring rolls and some pork dumplings. Can’t screw those up right? I didn’t indulge in the pork dumplings (any good? ), but did eat the spring rolls: not great, not bad. Not all that great but pretty much expected. At this point, the place was starting to get busy as more and more people and groups kept coming in. Now’s the time to see how the service handles it! … Not as well as hoped. Service dropped here a bit. Our final “order” (ice cream) wasn’t responded to as quickly as before. Understandable, I guess. Yeah I noticed that as well. Had to flag her down just to get our ice cream order in. Which tasted like ice cream! Can’t screw that up but since we are nit picking, was melted a lot since I bet it was sitting on a tray for a little while before they were brought to our table. Oh well, par for the course here at Spring Sushi and I guess reminds us once again why we rarely go to AYCE sushi restaurants. 4/10. 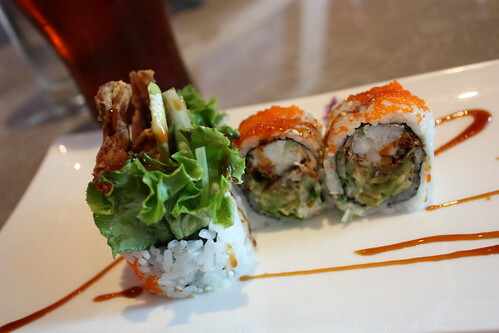 Spring Sushi taught us that no matter how ‘slick’ you make things look, at the end of the day people want good sushi – and you need to deliver on that. 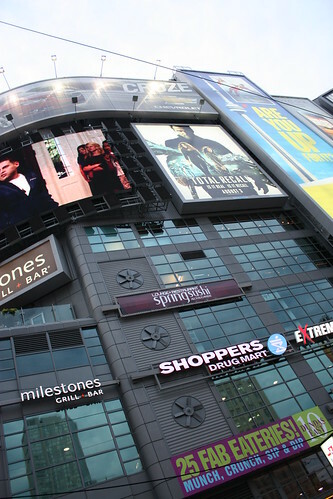 Then again, maybe your typical Yonge-Dundas-goer doesn’t really care. 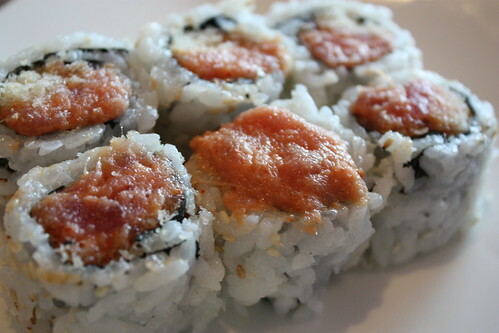 Not sure, but anyone who has sushi regularly likely does – and Spring Sushi has a bit of work to do on that front. To the guy or gal who coded the iPad ordering interface, I give you high marks. For everything else, it was a huge disappointment. 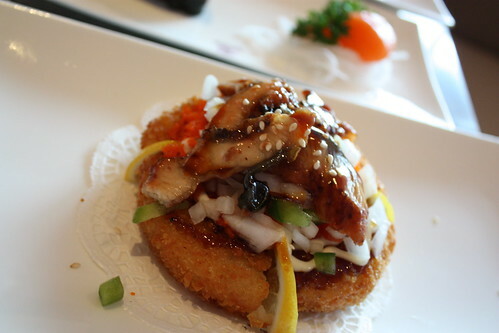 I honestly just browsed through a bunch of the Sushi Toronto reviews to try and find the worst mark I’ve dished out so far, as this one will likely be in that ballpark. Yep, it is: 2/10. Totally agree, Worst sushi, service, and dining experience ever. Was starving and I love sushi so I was looking forward to the meal. I ordered a set with three rolls, and was impressed by the low price. 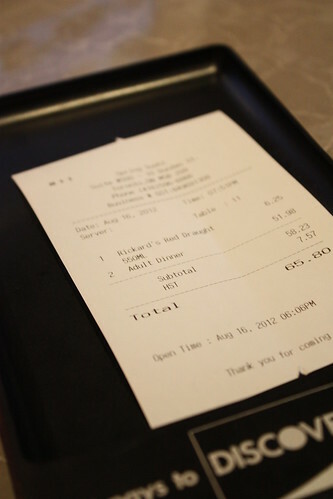 But when the food came, I regretted even stepping in the restaurant. 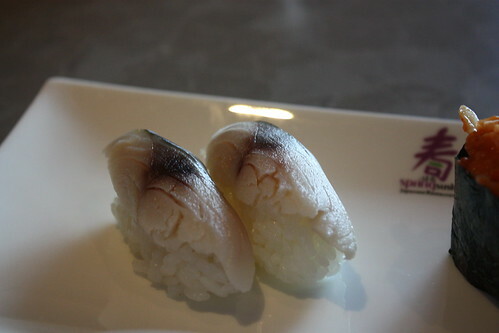 The sashimi pieces were so thin, and smelled stale, so fishy. The flavours were just so off. Our servers were rude and forgot one of my friends’ orders. I don’t understand how they are still in business. Good food and atmosphere but TERRIBLE service. We were escorted to our table and given the iPad then left to fend for ourselves…literally. We had to flag someone down every time we needed something, which was difficult because most servers avoided eye contact as they moved around the restaurant. No one explained to us how the menu ordering system worked. We had to flag someone down to order drinks, water, extra napkins, a spoon which we finally got the second time we asked and by that time the ice cream was mostly melted. We didn’t know that they needed to approve the orders so we waited a long time for food. The iPad crashed and needed to be reset 3 or 4 times. Two dishes never showed up. Not once did anybody check in with us to see if we needed anything or if everything was ok. I left NO tip!! On top of that, they do not accept debit, just visa, so l had to get cash out of their debit machine and pay extra service charges. Good food and atmosphere but TERRIBLE service. We were escorted to our table and given the iPad then left to fend for ourselves…literally. We had to flag someone down every time we needed something, which was difficult because most servers avoided eye contact as they moved around the restaurant. No one explained to us how the menu ordering system worked. 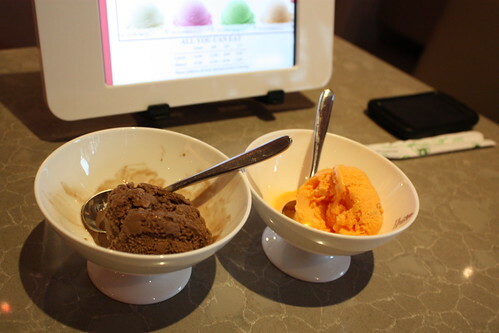 We had to flag someone down to order drinks, water, extra napkins, a spoon which we finally got the second time we asked and by that time the ice cream was mostly melted. We didn’t know that they needed to approve the orders so we waited a long time for food. The iPad crashed and needed to be reset 3 or 4 times. Two dishes never showed up. Not once did anybody check in with us to see if we needed anything or if everything was ok. I left NO tip!! On top of that, they do not accept debit, just visa, so l had to get cash out of their debit machine and pay extra service charges. I give it a 3 out of 10.
the wall paper look very ugly.. make me want to leave.. the ipad crash two times on our visit… we were sitting there like fools.. and then we have to get the waiter to check our order.. and end up.. we have to repeat our order to the server.. and after 20 mins we get our food.. and the price is crazy.. you can get better food and price on bloor street.. don’t go..
didnt have enough of an appetite to voyage all their sushi but what i had was good quality. the place looks ace. the service is fast. huge menu for $16 all you can eat is perfect on the wallet. and their green tea is good too.